The Ibanez RG652AHM RG Prestige solidbody electric guitar was created to be a supremely playable, great-sounding guitar. The ash RG body gives the guitar a strong treble response, and you'll love the feel of the fast, 5-piece maple/walnut Super Wizard HP neck. The RG652AHM RG Prestige uses DiMarzio Tone Zone and Air Norton humbuckers to push your amp for crunchy rhythms or hot leads. Get your hands on this RG652AHM RG Prestige, and find out how far it can take your playing. The Ibanez Wizard necks are thin, built-for-speed creations that enable effortless playability and comfort. The RG652AHM RG Prestige takes that design to the next level with its 5-piece maple/walnut Super Wizard HP neck. You'll execute lightning-fast runs, arpeggios, and hammer-ons with ease. Capping the Super Wizard neck is a bound 24-fret maple fretboard, loaded with jumbo frets that are perfect for big note bends. The original (not to mention legendary) Ibanez Edge locking tremolo system is back on this RG652AHM RG Prestige. Though there are different variations on this system, the original Edge, introduced in 1986, is still one of the most desired designs, being used by guitar virtuosos such as Joe Satriani and Steve Vai. You'll gain complete performance pitch control, while resting assured your tuning will remain rock solid the whole time. Ibanez describes the Prestige line as "Japanese craftsmanship meeting American inspiration." Every instrument in the line is built to be a precision instrument that inspires you to continually push the boundaries of your playing. This RG652AHM RG Prestige is an example of Ibanez's commitment to quality, craftsmanship, and the desire to build some of the most respected electric guitars out there. 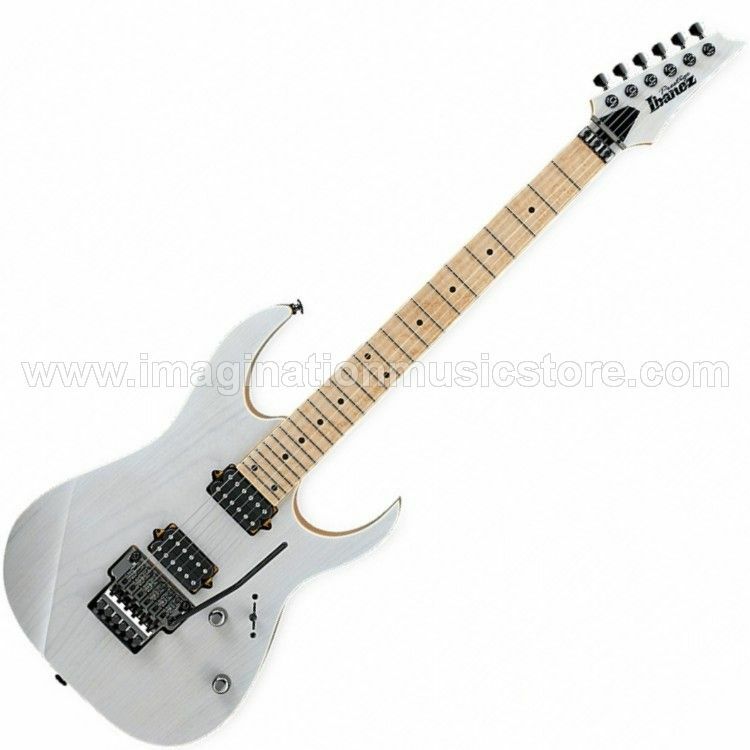 Push your playing to new heights with the Ibanez RG652AHM RG Prestige.